WHY GO: This little Connecticut Shoreline village, wedged between Mystic and the Rhode Island state line, is compact, adorable and perfect for weekend exploration. DuBois Beach and The Point, end of Water St.
Stonington’s downtown – known as “The Borough” – is so adorable in fact, it stood in as a Maine waterfront town in the Meryl Streep/Tommy Lee Jones movie, Hope Springs. 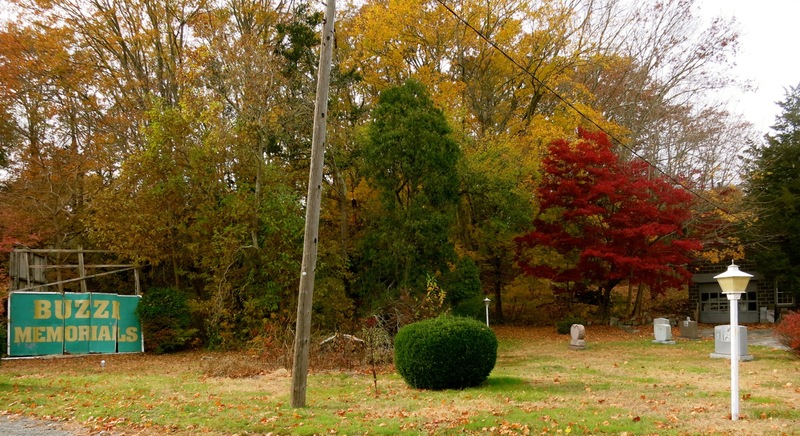 Less a tourist draw then neighboring Mystic, Stonington is the kind of place where weekend escapees from New York City putter in Federal-style-home front yard gardens and say “hi” to passers by. And to add to New England authenticity, Stonington is home to Connecticut’s last commercial fishing fleet. 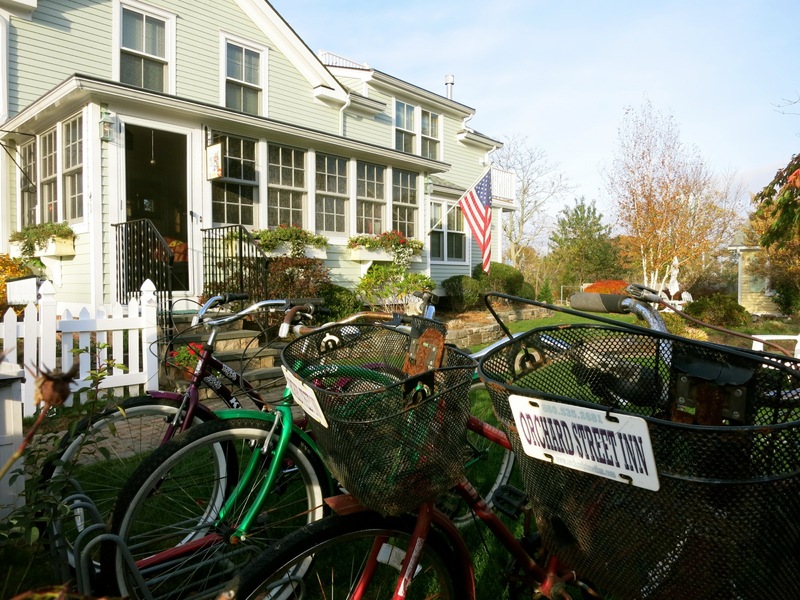 Cute shops, great restaurants, small upmarket inns, terrific wineries and one beer-erie round out this perfect Connecticut Coast getaway. VISIT: Old Lighthouse Museum. Arguably the most photographed structure in Stonington, this beautifully fanciful stone lighthouse was active from 1840 to 1889. 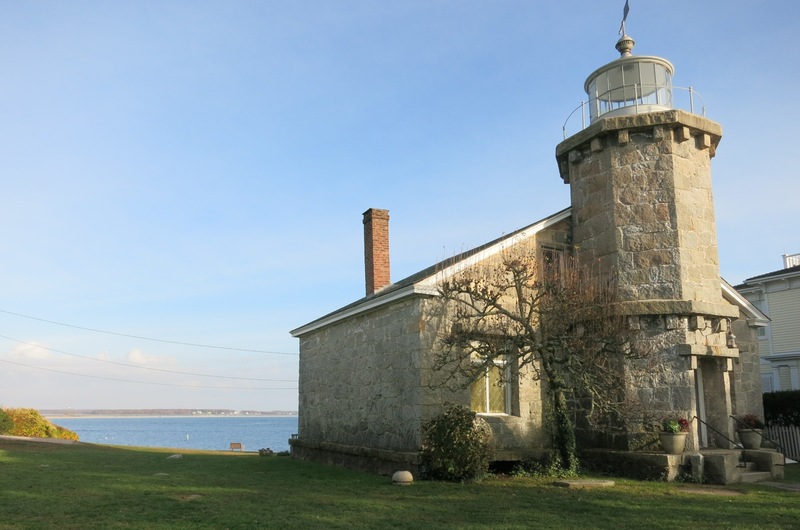 Inside, visitors can see exhibits of early Stonington life and climb the steps to the tower for an overview of the harbor and beyond. Open May-Oct Thurs-Tues 10-5 (closed Wednesdays). $9 includes admission to Capt. Palmer House. 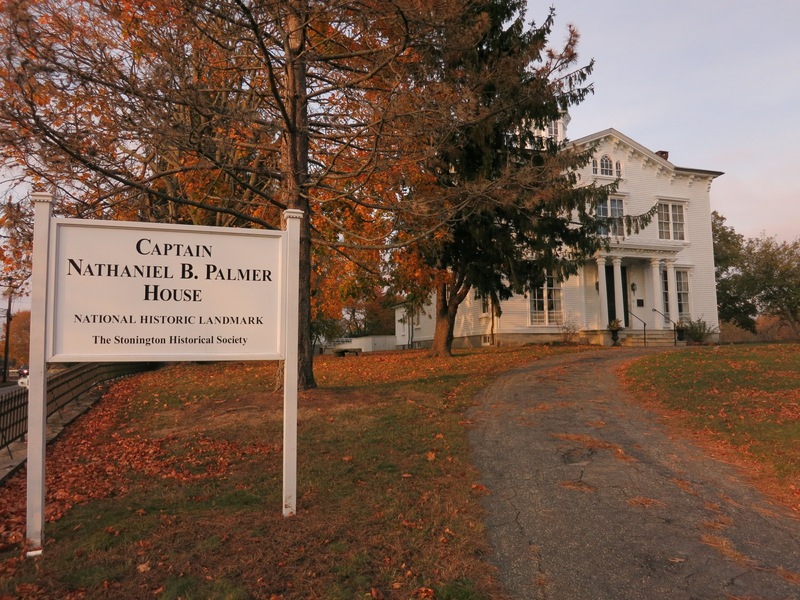 VISIT: Captain Nathaniel B. Palmer House. In 1820, at age 21, while looking for seal rookeries, Captain Nat Palmer discovered “land not laid down on my chart.” This chunk of land would later be known as Antarctica. Built in 1852, Palmer’s grand, 16-room Victorian Mansion now also serves as The Stonington Historical Society, housing exhibits that chronicle the life and exploits of Cap’n Nat. Open May-Oct Thurs-Sun 1-5). $9 includes admission to Lighthouse Museum. VISIT: Stonington Vineyards. Around since 1986, this is Connecticut’s third oldest winery with eminently drinkable whites. Stonington is a “boutique” winery – all grapes are picked by hand. Chardonnay and Cabernet Franc grapes are grown on site, and other vintage grapes come from regional vineyards. Try these and others in the brand new contemporary tasting and event room. 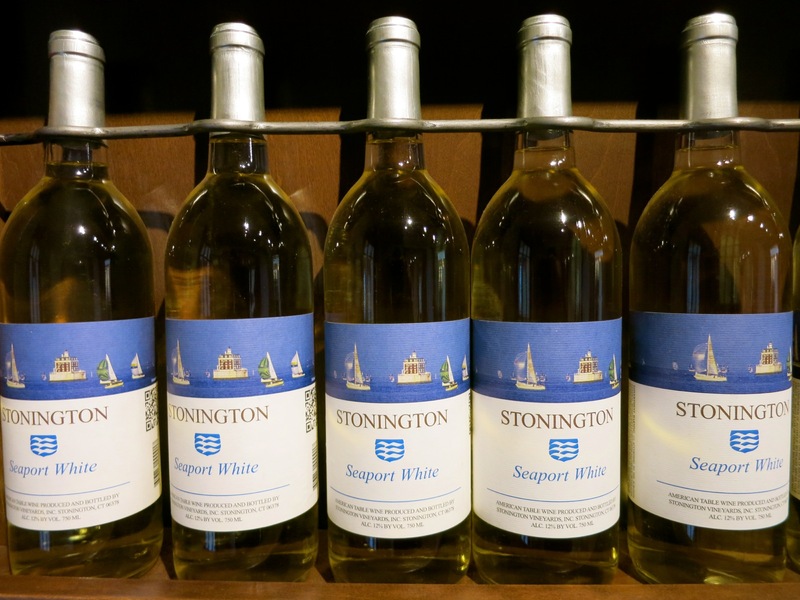 Stonington Vineyard’s most popular label – Seaport White ($12) – is a tinge sweet, mild and perfect for an afternoon wine and cheese on the boat. Sheer Chardonnay ($18/bottle), fresh and snappy, appeals to dry-wine drinkers, and the estate-grown Cab Franc ($26), subtle, earthy and not at all overbearing, makes for a great table wine. Open daily 11-5, tastings $12 for 6 or 7 wines. 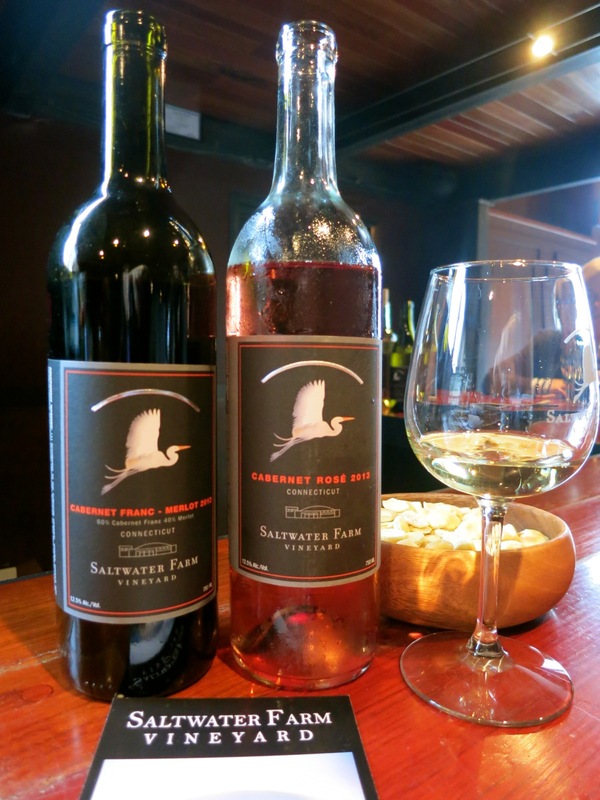 VISIT: Saltwater Farm Vineyard. This new winery (opened in 2010) lost all of its Pino Noir grapes to deer in 2012, but the four-legged scavengers didn’t seem to enjoy Chardonnay or Sauvignon Blanc, so left those alone. Owners learned from this peculiar New England hazard and now protect all of their grapes equally. On over 100 acres bordered by tidal marshes, Saltwater Farm is so stunning, make sure you get here even if you don’t like wine. If you time it right, you’ll see trains steaming over harbor bridges in the distance, wildlife winging into the sky and kayakers paddling through reed-lined rivulets (there’s a kayak launch with parking at the entrance to the Vineyard). No wonder there’s a growing list for weddings here. The tasting room/event space is in a cavernous 1930’s airplane hangar, and it is still technically an airport (yes, small planes can still fly in). Plunk down $10 for four rather ample tastings of the snappy, grapefruity Sav Blanc, lightly oaked caramel-and vanilla-bean note Estate Gold Arc Chardonnay, a goes-down-easy Cabernet Rose and Bordeaux-style Cabernet Franc – or other delightful vintages. Apparel sold in the shop is almost as popular as the wine. 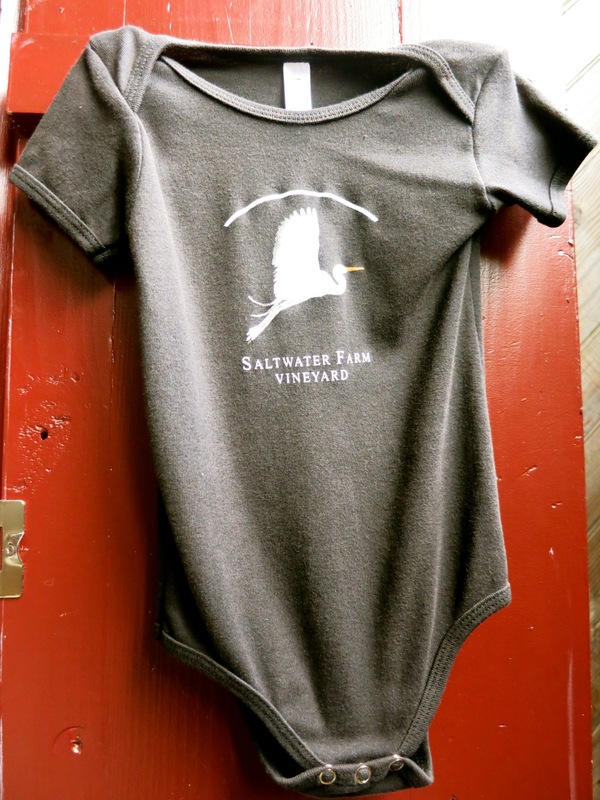 Among the most “awwww”-inspiring is the Saltwater Farm “onsie,” for babies born to couples who were married here ($18). Open Wed and Thurs 11-5, Fri-Sun 11-3. $10 tastings. 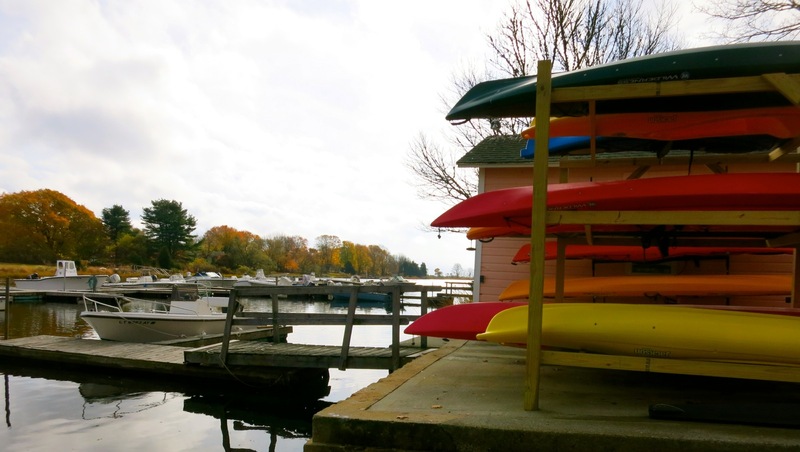 DO: Rent a Kayak from Stonington Marina. Plan to get to this small-boat marina on the impossibly picturesque Wequetequock (“Water of Many Ducks”) Cove, by 8am when “everything comes to life,” says marina manager, Don Michaud. 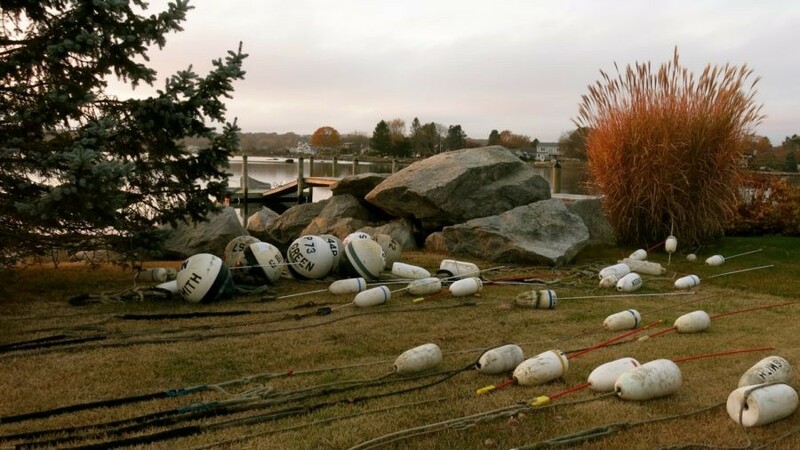 Stonington Marina is also known for rigging up kayaks for fishing– there’s great angling in the harbor right outside the Railroad Bridge – and for a selection of guided kayaking tours. According to Michaud, Laugh-In star, Ruth Buzzi, used to declare – “I’m from Wequetequock, Connecticut” on the show. Sure enough, Ruth’s brother, Harold, still runs his tombstone business, Buzzi Memorial, just down the street. $35 for 2 hours- $225 for single kayak for the week. DO: Check out the commercial fishing vessels and before leaving, buy just-offloaded and flash-frozen seafood from Stonington Seafood Harvesters. 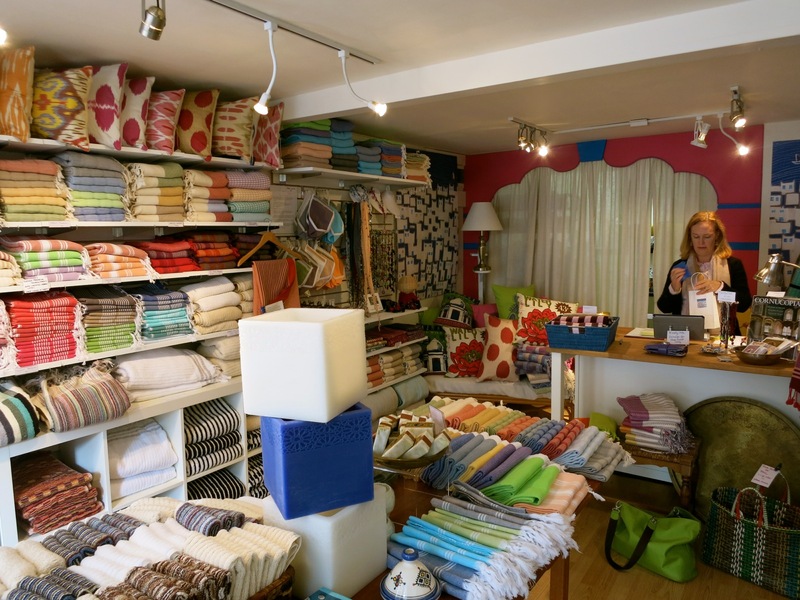 SHOP: There are plenty of cute shops on Water Street, including Yali, for handwoven organic-cotton Turkish Towels and Zia’s – an off-price boutique priced like T.J. Max. 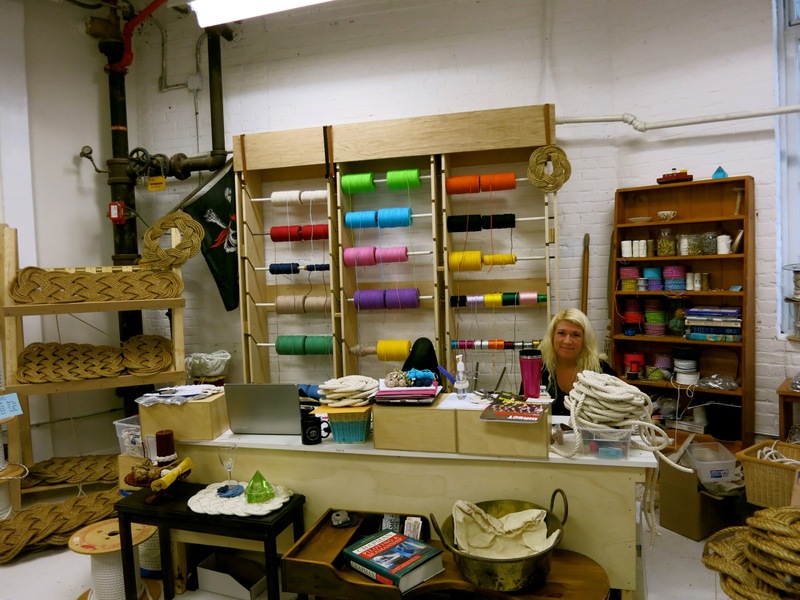 SHOP: The Velvet Mill. This repurposed rambling mill building houses artist studios, small businesses, glass-blowing, framers, a bakery and one boffo beer-erie, so it’s worth milling around there on a weekend afternoon.You can take a Yoga class, buy produce at the indoor Farmer’s Market and participate in a boatload of events. Don’t miss a pint at Beer’d, however (see below), before you leave. DRINK: Beer’d “Nano” Brewery – located in The Velvet Mill – has earned a cult following despite it diminutive size and output. 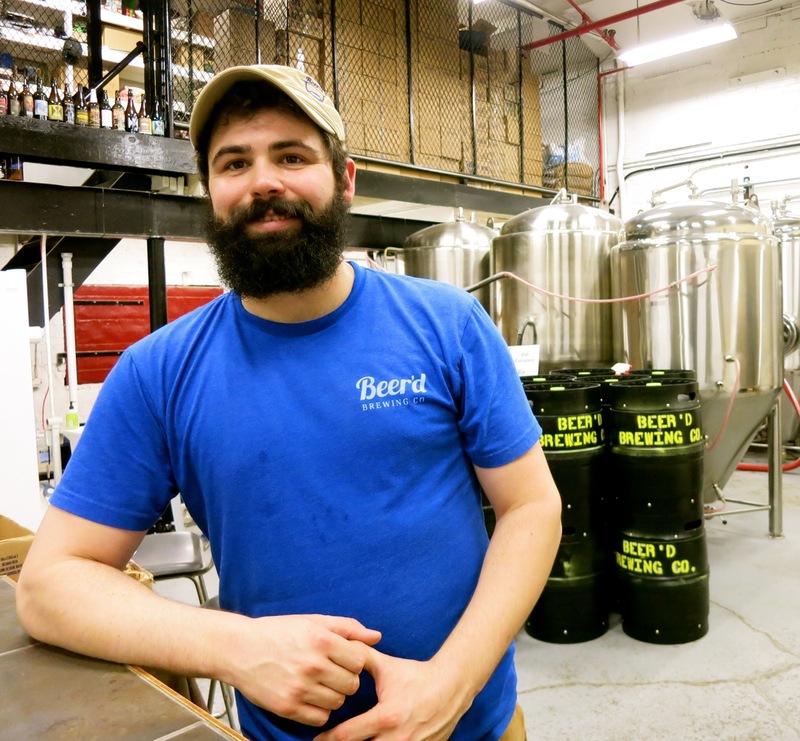 Most of what’s produced here “goes out the door in growlers,” says the young and bearded co-owner Aaren Simoncini (who owns Beer’d with his “precious,” Precious Putnam). Since opening in 2012, Simoncini and Co. have brewed 42 unique beers and counting – among the most popular, the Double IPA, “Dogs In Boats,” and “Hobbit Juice” (the latter made with hops grown in New Zealand). Beer’d has been written up in the New York Times and Connecticut Magazine and more. If I were you, I’d see what the fuss is about. Open Friday 5pm-9pm, Sat and Sun 1pm-5pm and during special events. EAT: Dog Watch Café. 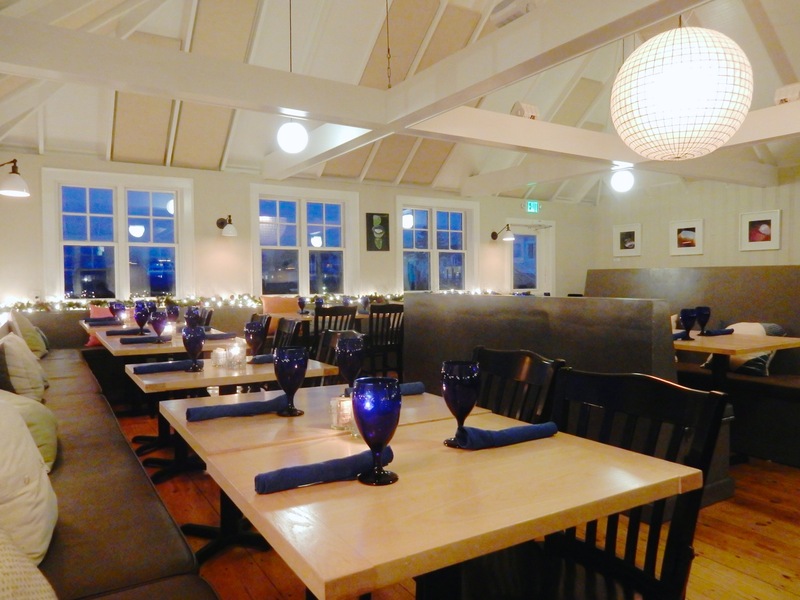 Fabulous setting (at Dodson Boatyard overlooking the docks), really good food, and fun atmosphere, Dog Watch is a local favorite and packed nearly every day at all hours (“forget the summer,” says one patron. “You’ll have to wait a long time.”) Salads are nice and fresh, cup-size French Onion Soup is a bargain at $4, and popular Native Battered Codwich on Brioche is $13. Nosh and meet the locals. They are all friendly folks. EAT: Breakwater. The Steamed Littleneck Clams in White Wine sauce ($14) is to die for, and so is the Brick Chicken ($23) proving that just because this place is right on the water doesn’t mean it only specializes in seafood. You can score a table easily off season midweek, but come sailing weather, you’ll most likely have to wait. EAT: Water Street Café. 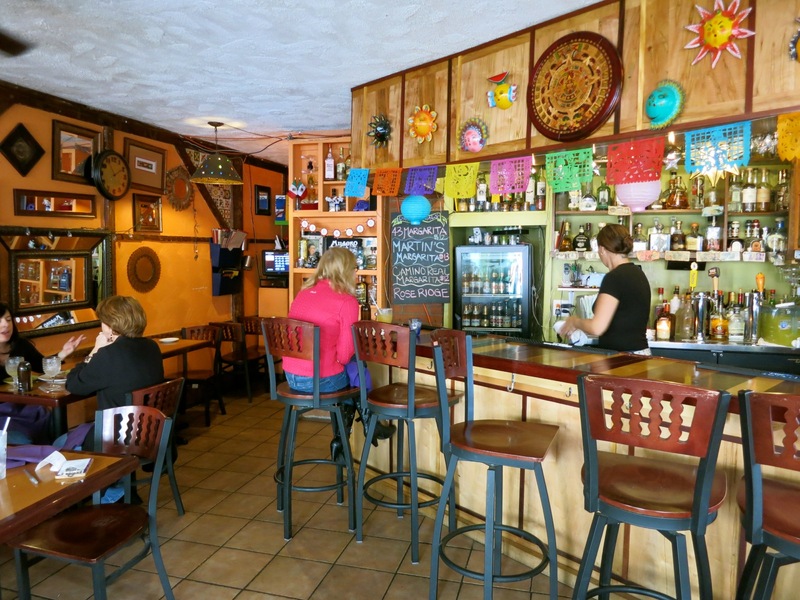 This is where Stonington residents bring out of town friends. Dishes are routinely excellent, especially the long-time-on-menu Hangar Steak ($25) and Duck and Scallops ($23). EAT: Noah’s. 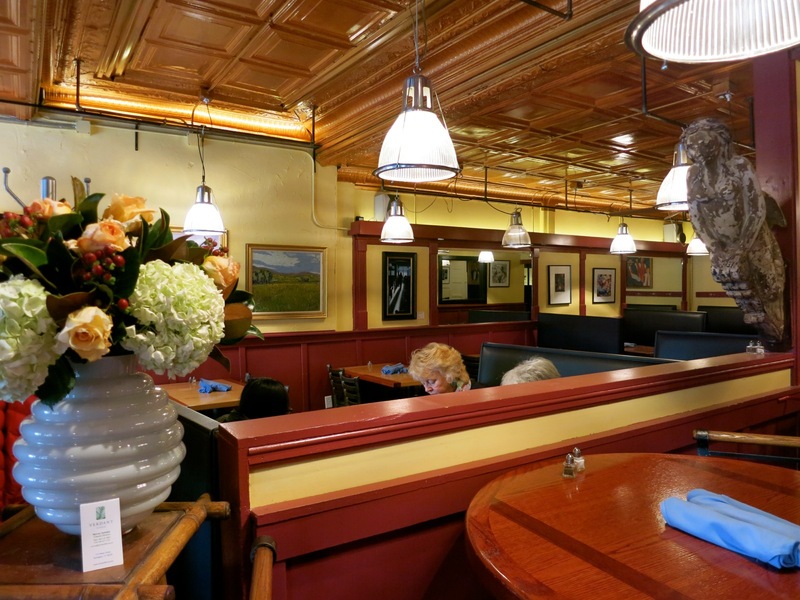 This little bakery/bistro has been around for 37 years and is the go-to for coffee and baked goods in the morning, and casual scratch-cooked meals for lunch and dinner. It’s one of those local places that people forget to mention, because they just assume you know(and they take it for granted). 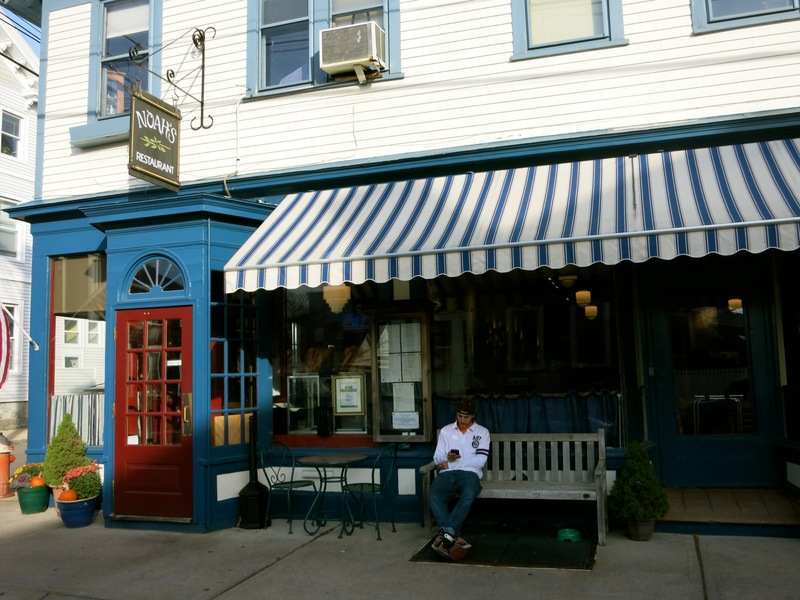 STAY: Orchard Street Inn. This small but lovely five-room inn off the main road in “The Borough” is often overlooked, but shouldn’t be. Once a captain’s house, the 2nd floor Captain Suite features a balcony with corkscrew staircase that takes you up to a roof deck (aka/widow’s walk) from which you can spy the Atlantic Ocean. Three other rooms in the cottage are as charming as all get out. Rooms and suites from $225-$345 (less off-season), come with gourmet breakfast, wi-fi, parking and Toto-basket bikes. No need to rent or bring your own. 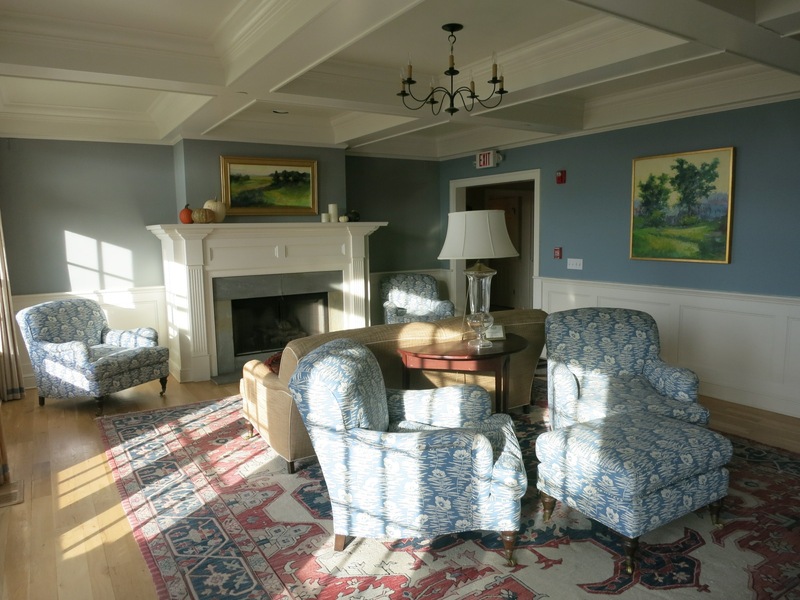 STAY: Inn at Stonington. Half of the rooms in the two-building, 18-room Inn at Stonington face bucolic Stonington Harbor. Accommodations are both refined and warm – Frette linens, walls in soothing yellows, blues and creams, dark spindly four-poster beds and private balconies on harbor-front rooms. Travertine tiles in sparkling bathrooms lend a chic Italian air. Rates from $180-$310 depending on size of room and season include Continental Breakfast with home baked goods and an evening wine and cheese reception. .Buzzi Memorials is run by Harold Buzzi..
Ruth Buzzi’s brother…NOT her father.